“Fixing” the “illegal” immigration “problem” has been at the forefront of Donald Trump’s rhetoric from the first weeks he took office until today. Despite Trump’s anti-immigrant policies and rhetoric, undocumented persons across the U.S. are taking to the streets in protest, demanding that politicians uphold their rights, and seeking sanctuary in religious spaces. Trump’s executive order has spawned a variety of political practices of resistance. While these tactics should be celebrated, the question of what happens to individuals with precarious status, to persons who cannot access legal assistance, and to those who cannot find sanctuary often fails to be asked. As a current Fulbright U.S. student researcher living in Mexico City, I have been attempting to fill this gap by exploring two questions: what happens to individuals that are deported and to those who have voluntarily return to their country of birth? And how do migrant-sending countries, in this case Mexico, respond to the deportation and/or voluntary return of its citizens? These questions can only be answered if we first understand who is being forced to return and how U.S. immigration policies have shaped the contemporary demographic profile of the deportee and returnee. My current research analyzes how U.S. immigration policies have shaped the demographic profile of both deportees and returnees. Further, and even though return migration is not a new phenomenon in Mexico, it’s important to note that return migration gained relevance in Mexico’s political agenda after the election of Donald Trump. Aware of Trump’s anti-Mexican rhetoric and anti-immigration efforts, including his promise to terminate DACA, the Mexican government responded by implementing legal changes to the General Education Law on March 2017. These amendments aim to reintegrate Mexican Dreamers into Mexican higher education. This has meant that most current Mexican federal initiatives are designed to support Mexican Dreamers. As a consequence, these programs face three significant problems. First, they target a limited population. Second, they overlook the needs of Mexicans who have been forced to emigrate to the U.S. Third, and most significantly, these programs reproduce the same binary — between the “deserving” and “undeserving” migrant — that is a core feature of U.S. immigration policies. Although return migration is not a new phenomenon in Mexico, the demographic profile of deportees and returnees has significantly changed from the 20th to the 21st century. In the 20th century the Mexicans that returned, whether voluntarily or involuntarily, to Mexico were predominantly traqueros or braceros, men who had migrated to the U.S. to build railroads or labor as migrant farm workers. Most of these men came to the States without families and lived there for a limited period of time. The current demographic profile of Mexicans returning voluntarily and/or involuntarily is much more complex, however. It is estimated that, between 2009 and 2016, 3.5 million Mexicans have returned to Mexico (1.3 million through voluntary return and 2.2 million through process of deportation). However, these numbers do not reflect the number of “de facto deportations” — a category that covers the U.S. citizens, including children and spouses, who have returned to Mexico for the first time to reunite with deported family members (Kanstroom 2007; Anderson 2014; Coutin 2016). Today, those making up the deported and returned community have lived in the U.S. for much longer than in the past. Often they have formed families in the States and have U.S.-born children. Furthermore, today’s deportees and returnees are between the ages of eighteen and forty-nine, meaning they are of “productive and school age” (Jacobo & Cardenas Alaminos 2018). Lastly, individuals who have been forcibly removed are not planning to return, which means that they have limited economic and social resources when they arrive in Mexico. Potential reasons for this massive demographic change began long before Trump’s recent expansion of anti-immigrant efforts. In fact, it began to take shape in the mid and late 20th century when temporary bilateral worker programs, like the Bracero Program, were terminated and the Immigration and Nationality Act of 1965 was implemented. Although the latter act abolished a national-origins quota system, this act was particularly impactful because it set numerical limits on immigration from the Western Hemisphere and instituted a preference-based visa system that evaluated the immigrant’s skills and family ties to U.S. citizens and residents. As a result of such policy changes by 1979 legal entry opportunities for Mexican laborers began to diminish and undocumented migration began to increase (Massey 2013:7). These problems were only magnified by the Illegal Immigration Reform and Immigrant Responsibility Act of 1996. Implemented under the Clinton administration, this policy subjected people to arbitrary detention and fast-tracked deportations. Even more, it broadened the type of crimes that could result in deportation and greatly expanded border enforcement. The result of these policies has been to “naturalize” violence and migrant deaths along the U.S.-Mexico border — a tactic which has deterred Mexicans living in the U.S. from returning to their country (Cornelius 2001; De Leon 2015). Moreover, not only have these policies made it challenging for undocumented migrants to acquire legal status, they have also constructed a legal and social order in which the bodies of undocumented migrants are seen as deportable — as a “dispensable commodity” and “flexible labour force” that forces them to live under the condition of “migrant illegality” and face the possibility of removal (De Genova 2002). The needs of both deportees and returners are immense. They include: applying for identification documents, gaining access to health and mental counseling, and connecting with the legal resources needed to reunite them with family members in the U.S. It is difficult for deportees and returnees to access Mexican institutions because many have lived in the U.S. for more than 5 years. Often bureaucratic procedures have changed drastically since they left. Indeed, many never interacted with Mexican institutions before emigrating to the U.S. Others left Mexico as children and have no knowledge at all of Mexican institutions. To address the needs of deportees, in 2014 the Peña Nieto administration implemented the Somos Mexicanos (We are Mexican) program. Seen as a response to the massive waves of deportation under the Obama administration, the program’s purpose and mission is to support the social and economic reintegration of the repatriated Mexican community. On a practical level the program offers Mexicans who have been deported such necessities as a lunch box, the ability to make one phone call, a discounted bus ticket back to their hometown, and referrals to shelters. But significant problems have arisen. First, the services offered by Somos Mexicanos are only provided in twelve ‘puntos de repatriación’ or points of repatriation — locations where deportees are ‘dropped-off’ by U.S. immigration authorities. And second, these services can only be accessed with an ‘hoja de repatriación, a repatriation paper, a form that is only issued by National Institute of Migration (INM) officials. Since INM offices are located in urban areas, these papers are often difficult for recent deportees to obtain. Third, Somos Mexicanos also excludes individuals who return to Mexico voluntarily. In other words, Somos Mexicanos only offers services after the initial moments or days after deportation, and does not adequately address the long-term challenges that deportees and returnees experience. Lastly, there is a lack of data and systematic evaluations to analyze how many deportees have benefited from the program and how effective the program has been for the target population. The topic of return migration became central in Mexico’s political agenda after the presidential election of Trump and his repeated threats to terminate DACA. According to the Pew Research Center 79.4% of the currently enrolled DACA recipients are from Mexico. 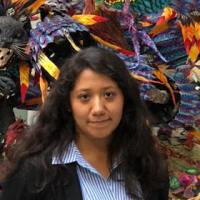 After terminating DACA on September 5, 2017, the Mexican government denounced Trump’s announcement and stated that “Mexico will receive dreamers that return to our country with open arms.” Due to the variety of educational and leadership skills that Dreamers have acquired in the U.S., the Mexican government framed Dreamers as a vulnerable, worthy, and deserving migrant group — a potential force for economic development in Mexico. Two programs designed to support the educational and economic integration of Mexican Dreamers after the Trump administration rescinded DACA include the PUENTES (Bridges) Program and the Certification in English Language Proficiency. The PUENTES program is a database that allows students to search for Mexican academic institutions that offer similar courses of study to those that they were pursuing in the U.S. All 31 Mexican states are incorporated in the database along with 400 Mexican academic institutions. Nevertheless, it remains unclear both how Mexican governmental institutions are disseminating information about PUENTES across higher education institutions throughout Mexico and the U.S. and how this program supports deportees and returnees who arrived prior to the rescinding of DACA. The Certification in English Language Proficiency was implemented in March of 2017. This program offers English language tests to measure English language ability and proficiency. Each test taker is issued a certificate stating the level of their English proficiency. The purpose of this program is to certify English as a “labor competency” and so help reintegrate returnees and deportees into the labor market. In Mexico, employees with proficient English language skills typically have access to better employment positions and higher salaries. Although representatives from the program claim that examinations are administered throughout the country, my research has found that the reality is otherwise. One member of a non-profit organization that supports deportees and returnees with whom I spoke said that “the reality is that the test is only administered in Mexico City. If you are in Veracruz, Guerrero, Tamaulipas, Chihuahua, or Nuevo Leon and you walk to a community center and say ‘I want to certify my English,’ guess what the government employee is going to tell you? ‘Oh no, nobody is certified to administer the test’.” Thus, there remain various gaps regarding the structure of the program and how participating institutions collaborate with communities within and outside of Mexico City. Moreover, and again, there is no information on the the overall effectiveness of the program. While the aim of the Certification in English Language Proficiency is to “reintegrate” returnees and deportees into the economic sector, the reality is that returnees and deportees with advanced English speaking skills work in call centers. As one of my interviewees reported, however, most call centers pay employees between $4-5 USD per day. While this $700 USD a month is higher than most Mexican monthly salaries, it remains true that such call center workers are a cheap labor commodity for American corporations, and thus create precarious workers who receive either limited or no benefits. As my research on PUENTES and the Certification in English Language Proficiency has shown, these programs have reproduced the same binaries between the deserving and undeserving migrant that is a core feature of U.S. immigration policies. 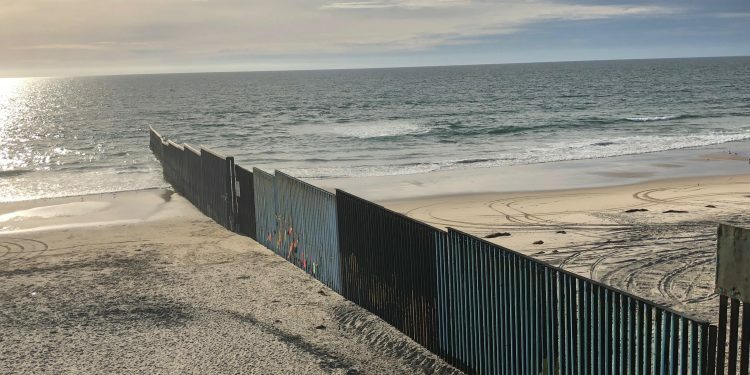 While Mexico’s political initiatives and public discourse have brought some awareness into the Mexican community about President Trump’s anti-immigrant efforts, these initiatives have produced an incomplete narrative of the deported and returned community. These programs exclude individuals that do not identify as Dreamers, those who were deported decades before the Trump administration, those who have not had the opportunity to gain sufficient English language skills, and those who have not had the opportunity to pursue an education in the U.S. Individuals that do not fit within the Dreamer category continue to be discriminated and criminalized in Mexico. Furthermore, Mexico’s institutional initiatives to support the deported and returned community overlook the systemic factors within Mexico that have forced migrants to emigrate to the U.S. in the first place — factors including economic instability, organized crime, and violence. Hence, not all deportees and returnees were integrated into the economic and political fabrics of Mexican society before emigrating to the U.S.
Return Migration Initiatives Beyond the Nation-State Framework? Throughout his presidency, Peña Nieto addressed migration through a security framework. After Trump’s election, Peña Nieto implemented educational initiatives in favor of Mexican Dreamers. On the other hand, Mexico’s newly elected President, Andrés Manuel López Obrador, has adopted two frameworks to address the issues of emigration, transit migration, and return migration: a human rights and a development framework. According to López Obrador, these frameworks will allow the administration to address the systemic issues that force people to emigrate. Regarding return migration, López Obrador’s administration has promised to collaborate with civil society, particularly with organization that have been supporting deportees and returnees. However it remains unclear at what level, and through which institutions, the administration will do so. 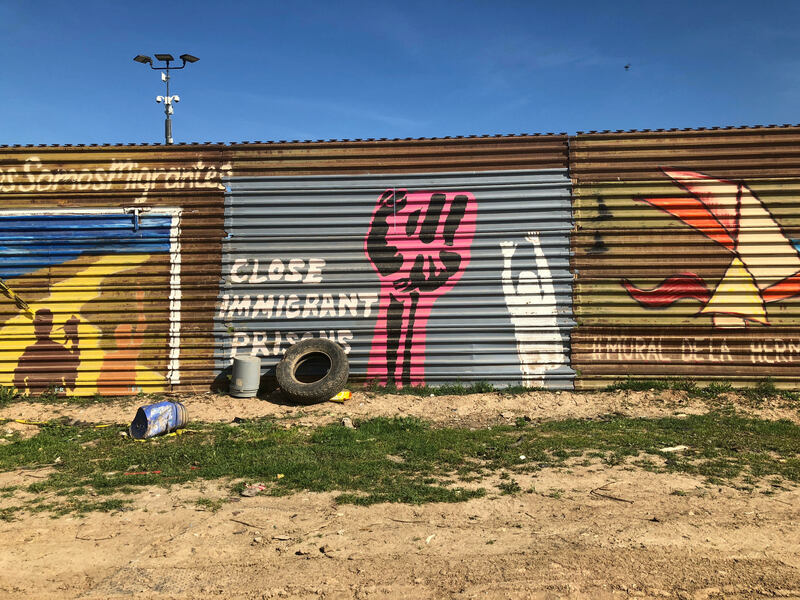 What is clear is that the proliferation and visibility of global deportation regimes are producing new migration patterns, new methods of mobilization, and migrant demands that stretch beyond the boundaries of the nation-state. Given these realities, it is critical to examine and interpret the practices of visibility and solidarity that deportees and returnees have already adopted. And it is critical to understand how these practices are reshaping civil society, the concept of citizenship and the modes of mobility taking place both within their former country of residence and within their country of origin. Through interviewing various members of grassroots organizations, deportees and returnees are treating experiences of estrange citizenship, and exclusion as potential spaces to articulate political struggles and political innovation across and beyond borders. Anderson Jill and Solis Nin (2014). Los Otros Dreamers. Mexico City. Cornelius, Wayne A. (2001). 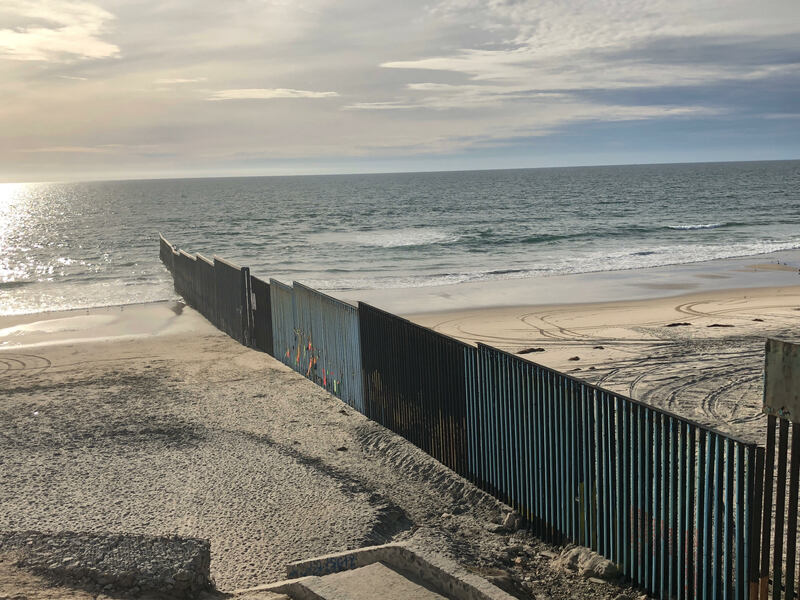 “Death at the Border: Efficacy and Unintended Consequences of US Immigration Control Policy.” Population and Development Review 27 (4): 661-685. De Genova, Nicholas (2002). “Migrant “Illegality” and Deportability in Everyday Life.” Annual Review of Anthropology 31(1): 419-447. De Leon, Jason (2015). The Land of Open Graves: Living and Dying in the Migrant Trail. Oakland, California: University of California Press. Kanstroom, Daniel (2007). Deportation Nation: Outsiders in American History. Cambridge, Massachusetts: Harvard University Press. Massey, Douglas (2013). “ America’s Immigration Policy Fiasco: Learning from Past Mistakes.” Daedalus, the Journal of the American Academy of Arts & Sciences. 142(3): 5-15.